Well-kept apartment on the ground floor of the owner's villa. If you want they'll give you tips about the region. You'll feel right at home here. Next to the apartment you have a lovely furnished private terrace and two lounging chairs in the adjacent, well-kept private garden. 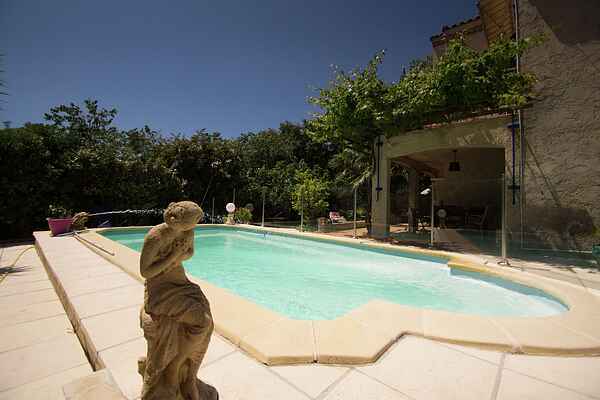 The house is situated near La Ciotat (1 km), a village that claims to have invented the game of pétanque. In 1907, people had removed the spectator's chairs on a terrain where games were being held. But one of the players was afflicted with rheumatism, and had trouble with walking and standing up for long periods of time. He was an important man and demanded people played with their feet placed together in a fixed place (pieds tanqués) in the middle of a circle on the ground. Thus pétanque was born. La Ciotat has an old fisherman's dock and a shipyard where the most luxurious boats are being taken care of. Like to sail? You can make nice boat trips to the beautiful green island (Ile Verte) and along the magnificent Calanques to the chic coastal town Cassis (6 km).